"to grow up as competent and confident learners and communicators, healthy in mind, body and spirit, secure in their sense of belonging and in the knowledge that they make a valued contribution to society" (Ministry of Education, 1996, p. 9). In the twenty years since its introduction, there has been increasing evidence that whilst some New Zealand early childhood education (ECE) services were implementing the curriculum well, there were many that were struggling to offer the depth and breadth of curriculum experiences expressed in the aspiration statement above (Education Review Office, 2016). Calls for the curriculum to be reviewed came from several quarters, including the Advisory Group on Early Learning established by the New Zealand government in 2014 who recommended "the Ministry of Education commission an update of Te Whāriki" (Advisory Group on Early Learning, 2015, p. 15). This recommendation was adopted with the review of Te Whāriki beginning in August 2016. A writers' group was established, comprising seven academics and highly experienced early childhood practitioners. The writing group undertook an initial re-drafting of the curriculum which was then released in late 2016 for wide-spread consultation. Following submissions on the draft revised Te Whāriki, the final document was launched in April 2017. Whilst Te Whāriki 2017 has retained the four overarching principles - Empowerment, Family and Community, Holistic Development, and Relationships - and the five strands and associated goals, one of the major changes has been the reduction in the number of learning outcomes from 118 to 20. Collectively, these learning outcomes articulate valued learning within the curriculum which all children should achieve, with support, as a result of their participation in ECE programmes. Table 1 below outlines the relationship between the strands, goals and learning outcomes. Alongside the reduction in the number of learning outcomes, the revised Te Whāriki 2017 has a stronger focus on kaiako *3 recognising and responding to children's language, culture and identity as an integral part of the curriculum experiences offered to children. Thus, for example, kaiako are expected to incorporate te reo Māori (Māori language) within their interactions with children and to incorporate Māori cultural values and knowledge within the programme. To illustrate, many ECE services have a strong focus on sustainability and incorporate Māori cultural practices in activities such as developing gardens and sharing the fruit and vegetables with families alongside using this produce to prepare food with the children in the programme. Such practices reflect manaakitanga (caring for others) and kaitiakitanga or "guardianship, responsibility and care for the environment" (Ritchie, Duhn, Rau and Craw, 2010, p. 2). thoughtful and reflective about what they do, using evidence, critical inquiry and problem solving to shape their practice (p.59). In addition to outlining these capabilities, throughout the document there are statements highlighting the expectations held of kaiako. As an example, the section entitled A curriculum for all children articulates children's rights to "protection and promotion of their health and wellbeing, to equitable access to learning opportunities, to recognition of their language, culture and identity and, increasingly, to agency in their own lives" (Ministry of Education, 2017, p. 12). The familiar components of the original Te Whāriki have the potential to mask, to some degree, the deep challenges that are embedded within Te Whāriki 2017. As noted above, national evaluations of the extent to which ECE services were implementing the original curriculum undertaken by the Education Review Office indicated widespread variability in the depth and breadth of curriculum experiences offered to children. Addressing this variability requires kaiako to be much more intentional in how they plan for and offer curriculum experiences that enable all children to achieve the learning outcomes, with support and guidance, across the five curriculum strands. A key challenge for kaiako lies in making "intentional decisions about when to be engaged in or guide children's play, as well as when not to be involved as children self-explore or explore with peers, in order to support learning" (McLaughlin & Cherrington, in press, p.7). The expectation that kaiako engage in bicultural teaching practices and that they are able to effectively support children's developing identities, languages and cultures is a further challenge offered by Te Whāriki 2017. A survey of diversity in New Zealand ECE found that practitioners were predominately Pākeha (New Zealand European) and whilst many teams may include ethnically diverse staff, kaiako from "minority ethnic backgrounds are often the only person of that ethnicity within the team" (Cherrington & Shuker, 2012, p. 82). When asked about the languages that kaiako spoke with children, 97% of respondents identified that they spoke English, 56.1% that they spoke te reo Māori and 10.1% that they spoke Samoan. The remaining seven languages used by kaiako with children identified by respondents were used with less than 10% of centres (Cherrington & Shuker, 2012). Clearly, the 80 languages used by children in ECE services (Education Counts, 2017) are unlikely to also be used by adults in the service to support children's learning. A final challenge lies in the provision of continuing professional development to support kaiako in strengthening their practices and knowledge required to fully implement Te Whāriki 2017. The initial professional development offered when the revised curriculum was launched has focused primarily on helping kaiako to "unpack" and identify the changes in the curriculum. However, in-depth professional learning is necessary to address the recommendations of the Advisory Group on Early Learning for sustained professional development to support the implementation of Te Whāriki. At the time of writing it remains to be seen whether such professional development is provided to the ECE sector. *1 In this document, 'oral language' encompasses any method of communication the child uses as a first language; this includes New Zealand Sign Language and, for children who are non-verbal, alternative and augmentative communication (AAC). *2 For children who are deaf or hard of hearing, 'hearing' includes watching. *3 Kaiako is the Māori word for teacher and combines a focus on both learning and teaching. It is used throughout Te Whāriki 2017 as an inclusive term to encompass both qualified teachers and those practitioners who do not hold teaching qualifications. Advisory Group on Early Learning. (2015). Report of the Advisory Group on Early Learning. Wellington: Ministry of Education. McLaughlin, T. & Cherrington, S. (in press). Creating a rich curriculum through intentional teaching. Early Childhood Folio. Ministry of Education. (2017). Te Whāriki. He whāriki mātauranga mō ngā mokopuna o Aotearoa Early childhood curriculum. Wellington: Ministry of Education. Ministry of Education. (1996). Te Whāriki. He whāriki mātauranga mō ngā mokopuna o Aotearoa Early childhood curriculum. Wellington: Learning Media. Ritchie, J., Duhn, I., Rau, C., & Craw, J. (2010). Titiro Whakamuri, Hoki Whakamua. We are the future, the present and the past: Caring for self, others and the environment in early years' teaching and learning. Wellington, NZ: Teaching and Learning Research Initiative. 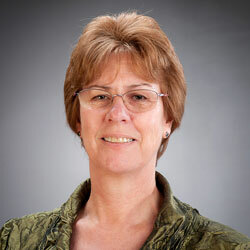 Dr Sue Cherrington is the Associate Dean (Academic) in the Faculty of Education at Victoria University of Wellington. Sue has an extensive background in early childhood education, initially as a kindergarten teacher and, since 1992, in early childhood teacher education. Sue’s research and teaching interests are focused on professional development and learning within educational contexts and ECE teachers’ professional practices.